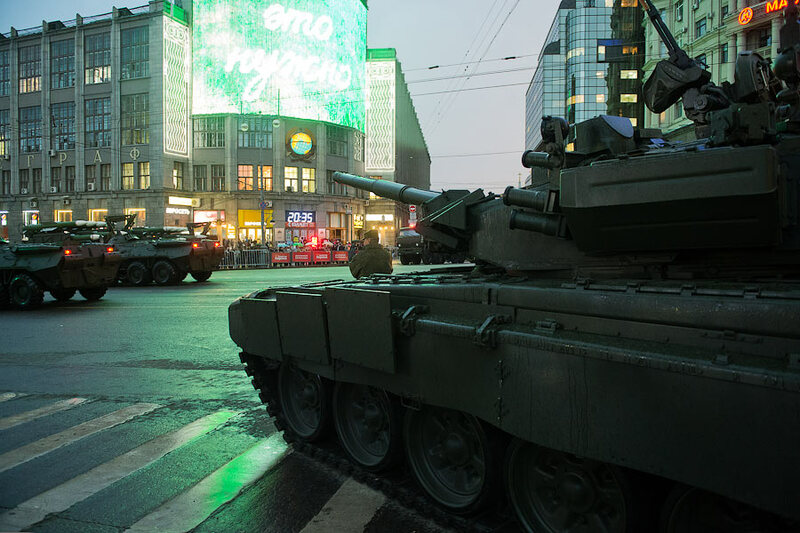 Several rehearsals of the military parade to mark the 68th anniversary of Victory in the Great Patriotic War to be held on 25 of April and 3, 7 of May in the center of Moscow. Beginning at 6 p.m., traffic will be completely blocked on the following streets: 1st Tverskaya-Yamskaya, Tverskaya, Okhotny Ryad, Mokhovaya, Noviy Arbat. Traffic will also be limited on the embankments along the Moscow River, and bridges near the Kremlin will remain closed until early morning. The actual parade will take place on Red Square on May 9 – a day traditionally marked in countries of the former Soviet Union as Victory Day over Nazi Germany.